Flooring tile grout refers to a variety of materials used in construction to fill, seal, and buffer the area in between individual tiles in a floor. Flooring grout usually has some yield and is most often used in hard tile installations where the natural expansion and contraction of the materials due to environmental factors could cause them to crack against one another. In some cases, grout lines are created in resilient and solid surface concrete floors for decorative effects. When hard tile flooring is installed the pieces are placed into the adhesive backing with gaps between them, so that they will not cause cracking if the materials expand or contract against one another during summer and winter temperature shifts. These gaps leave vulnerable lines that could allow moisture and germs to penetrate down past the surface covering to the subfloor. Grout is used to seal the lines between tiles with a material that is resilient enough to withstand most stains, and yet is yielding enough to buffer the expansion and contraction of floor tile materials over time. The process creates a floor that is solid, sealed, secured, and even adhered further to the floor and itself as a structure through the use of intersecting grout lines. All natural stone tile flooring requires grout including slate, limestone, marble, travertine, sandstone, quartz, granite, and onyx. 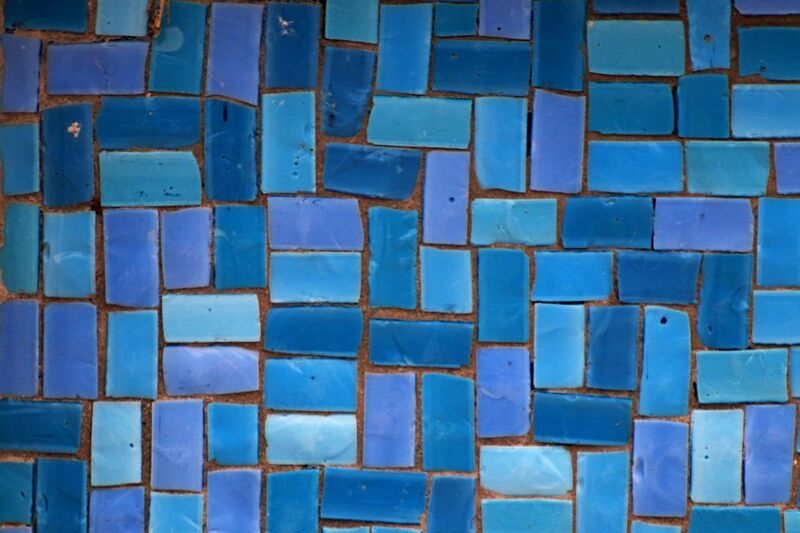 Clay-based materials such as ceramics, porcelain, brick pavers, and terracotta require the use of grout to prevent cracking, as do mosaic tile floors of glass, stone, or plastic. You also find grout lines being used decoratively in some resilient and concrete flooring installations. Generally, hard tile flooring is installed with rubber or plastic spacers, tiny "x" shaped pieces that are placed at the corner of every tile. These create an even line and row of spaces between all of the pieces in the application while the tiles are actually placed into the adhesive backing that will hold them to the subfloor. Once the adhesives have dried and the tiles are firmly in place, then the grout is usually applied. If porous tile materials are being used then they need to be sealed prior to this step as it can get messy, and cause permanent stains. The grout itself is usually sold in bags or boxes of dry material that you mix with water to a clay-like composition. This muddy clay grout is then applied to the open gap lines on the hard tile floor using a tool known as a grout float. You want to use more grout than necessary so you can ensure that it sinks all the way down to the bottom of the tile gaps and seals the floors pieces in perfectly. That is why sealing is necessary on absorbent materials as they can gain stains from the excess grout. Once the grout is fully spread the excess can be wiped away with the grout float and to some extent with a sponge dipped in warm water. Just be careful not to remove too much grout leaving vulnerable gaps between your tiles. At this point it’s not important to worry about streaks left on the tiles as if they were properly sealed, these grout residue lines can be washed away with warm water once the grout has dried. The grout will take about 24 hours to fully set. Once that is complete you can mop the entire floor with warm wet water to remove any excess grout. A sponge can be used to break up any clusters that may have formed on the floor after this. Because it is made to be yielding, the natural chemical structure of grout is also porous, which means that it can be susceptible to water stains, penetrations, and the development of mold and mildew. For this reason, grout should be sealed even in floors where those are not a common problem, such as with glazed ceramics and porcelain. In extreme cases, old grout can be removed completely and replaced with a new application.